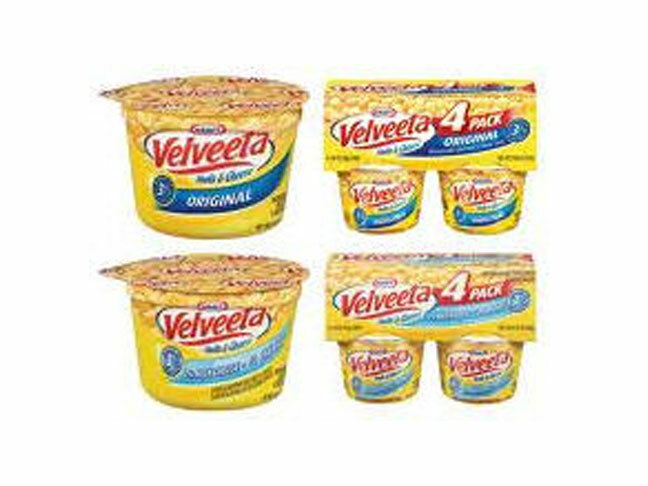 On September 30th, 2011, Kraft Foods Global, Inc. voluntarily recalled three varieties of Velveeta Shells & Cheese Single Serve Microwaveable Cups with limited “best when used by” dates as a precaution due to the possible presence of small, thin wire bristle pieces. Consumers can find the “best when used by” date on the bottom of the package. 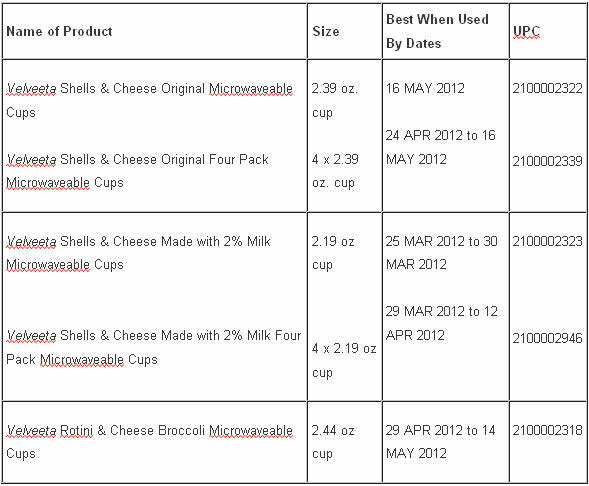 No other “best when used by” dates of Velveeta Shells & Cheese Single Serve Microwaveable Cups or any other Kraft Foods products are being recalled. There have been no reports of consumer injuries or complaints as of September 30th, 2011, but you can check the FDA website for any future updates to this recall. 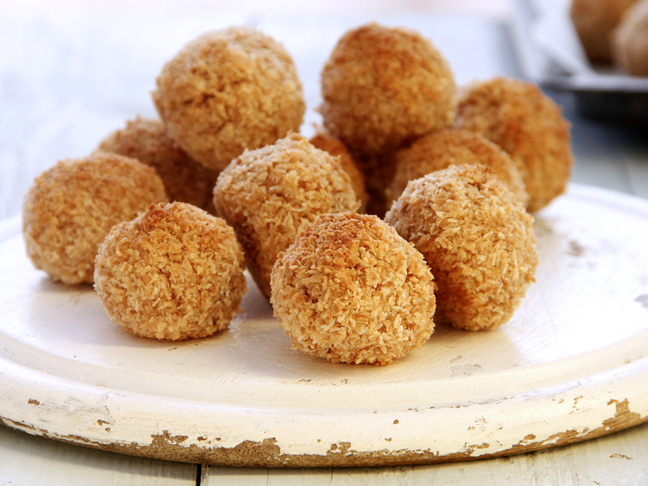 Kraft Foods is issuing this voluntary recall out of an abundance of caution. Approximately 137,000 cases of the affected products were shipped to customers across the United States. The affected products were not distributed in Canada. What should you do if you still own any of these products? Consumers who purchased affected “best when used by” dates of these products should not eat them. They should return them to the store of purchase for an exchange or full refund. Consumers also can contact Kraft Foods Consumer Relations Monday through Friday at 1-800-308-1841. The affected products were manufactured in Champaign, IL and Lakeville, MN.